Our company has established itself as a leading name of superior quality Outdoor Street Light in the market at the present scenario. These products from our side impart an amazing and well-direct light. It is a fascinating game of refined and roundish shapes, lines and curves, lights and shadows, a great harmony conveying a feeling of strength and impressiveness. 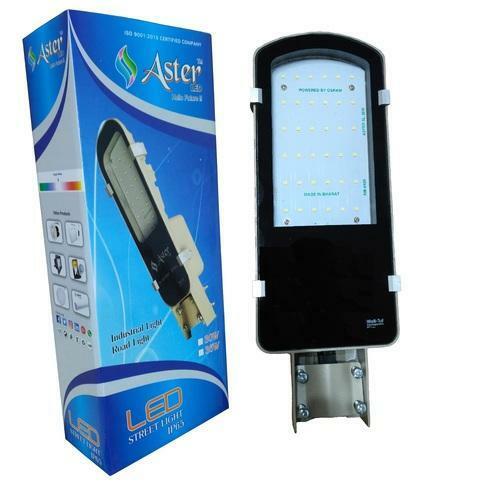 We, “Aster Industries”, are a reliable manufacturer that is affianced in providing highly efficient LED Panel Light, LED Surface Light, LED T5 Tube Light, LED Designer Street Light, LED Street Light, LED Flood Light, etc. We provide these lights in commercial, residential and industrial places for illumination purposes. Established in the year Mar'2016, We are one of the fastest growing companies in this sector. We are a Partnership Company that is located at Ahmedabad (Gujarat, India) and providing the best class LED lights across the nation.